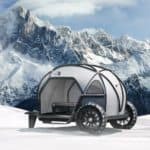 BMW’s creative division Designworks has recently teamed up with American outdoor product company The North Face to imagine a super light camper concept that’s unlike anything we’ve seen before. 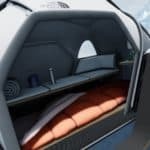 Called the Futurelight Camper, this state of the art outdoor dwelling shows off a new fabric innovation from The North Face – also called Futurelight – a special fabric that’s made with Nanospinning technology to be the most advanced, breathable, waterproof material in the world. 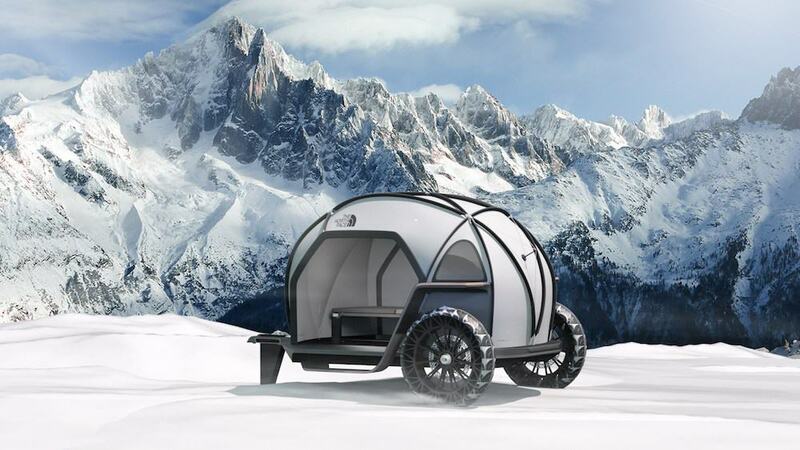 The design of this futuristic camper actually draws inspiration from an old BMW concept, the 2008 GINA Light Visionary Model. 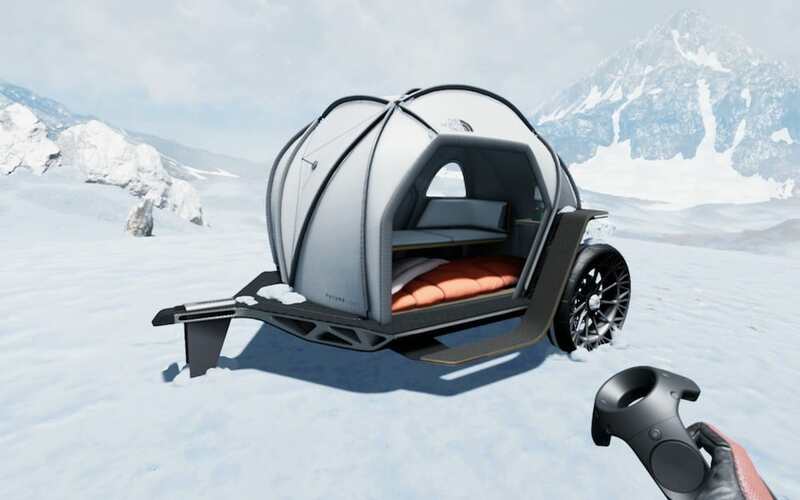 While that fabric-skinned, shape-shifting sports car has never seen the daylight, this camper concept seems to be almost ready for production. 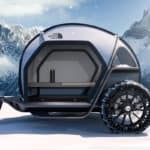 The Futurelight Camper is made of an ultra light fabric outer shell, which consists of a flexible material that’s stretched over a geodesic dome made of carbon fiber. 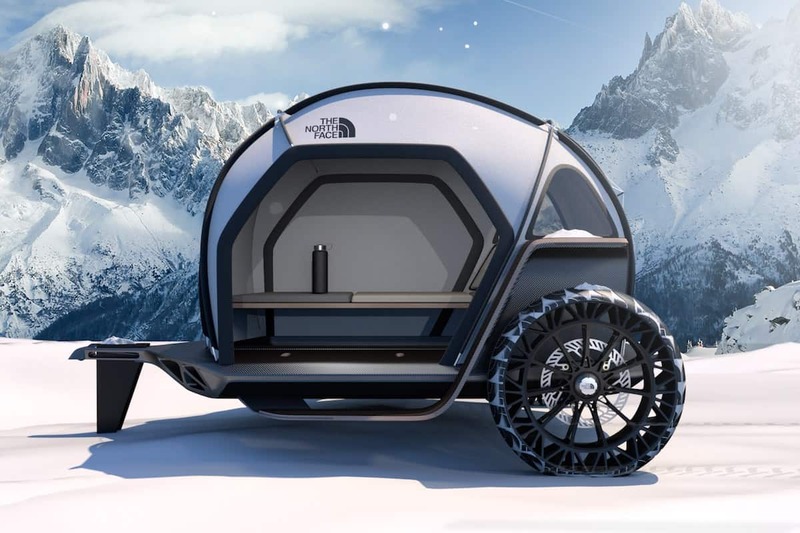 This concept was basically imagined to showcase the potential uses of The North Face’s new fabric, but it might also change the way we see camping in the near future. The brilliant team at The North Face managed to add air permeability into the membrane of a waterproof fabric for the very first time, using the Nanospinning process. This technology creates nano-sized holes into the fabric, which gives it incredible porosity, while maintaining its waterproof capabilities and letting air move through the material and providing more venting than ever before. 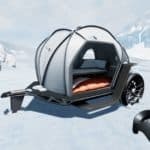 The Futurelight Camper was revealed at this year’s Consumer Electronics Show (CES) in Las Vegas and even though it’s still just a design study right now, we’re pretty sure we might see something like this on the market pretty soon. The Futurelight fabric will be featured in the pinnacle performance collections from The North Face this year.